Russia is in the news, again. NATO ministers continue to discuss how to upgrade their response capabilities to contain Russia, an increasingly unpredictable neighbor, and Pentagon officials advise Congress that Russia is a primary military threat. All the meanwhile, President Putin ramps up his military modernization effort. 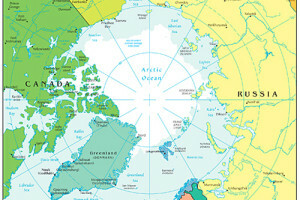 Could this finally be the end of strong Russia-U.S. cooperation in the one region where our interests have aligned since the end of the Cold War: the Arctic?